BETHLEHEM (Ma’an) — Israeli forces detained 522 Palestinians, including 130 minors and 16 women, in August 2017, according to a joint report released by the Palestinian Prisoners’ Society, al-Mezan Center for Human Rights, prisoners’ rights group Addameer, and the Palestinian Committee of Prisoners’ Affairs. On Aug. 23, Israeli forces detained Salah Hamouri, a field researcher for Addameer and duel Palestinian-French national. Hamouri, who has was previously imprisoned by Israel but released in a prisoners’ exchange deal in 2011, was first issued a six-month administrative detention order after his detention last month. The Palestinian institutions also condemned the Israeli policy of carrying out “extrajudicial killings” against Palestinians during military detention raids, highlighting the case of Raed al-Salhi, who was shot several times at close range by Israeli forces who allegedly sought to detain the 22-year-old in al-Duheisha refugee camp on Aug. 9. Al-Salhi succumbed to his critical injuries in an Israeli hospital weeks later. 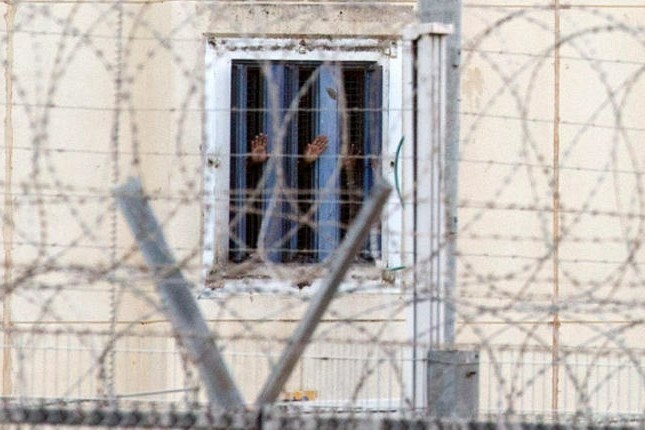 “The Palestinian institutions consider that the imposition of excessive financial burdens on child prisoners is a major constraint on the future of the child, a form of collective punishment and a major burden amid the prevailing state of poverty, which affects and violates other human rights for themselves and their families,” the report read. The human rights groups said they documented 59 Palestinian children had been taken to Israel’s Ofer prison in August. Of these, 40 were arrested from their homes, 10 from off of the street, three at military checkpoints, four after being summoned to appear for interrogation, and two for lack of possession of work permits.Furthermore, four children were arrested after being shot and 13 more were injured. “They were beaten and harassed during their arrest and taken to interrogation centers,” the report said, adding that sentences issued against minors in August ranged from one month to 32 months.